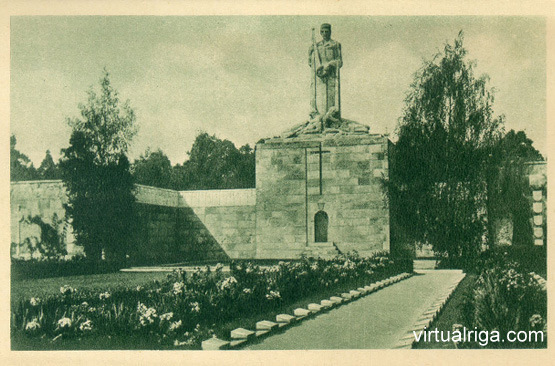 An unforgettable ensemble of The Common Grave Ensamble or Brothers’ Cemetery (Latvian: Brāļu kapi) – analogue of which is hard to find in Europe, is devoted to the memory of those who fell during the I and the II World War. A group of famous Latvian artists took part in this project created by Karlis Zale: landscape architect A. Zeidaks, architects P.Feders, P.Kundzinsh, A.Birzenieks, sculptors J.Cirulis, F.Valdmanis etc. It took 12 years from 1924 till 1936 to create the ensemble in Constructive style, using separate monumental figures and landscape possibilities.